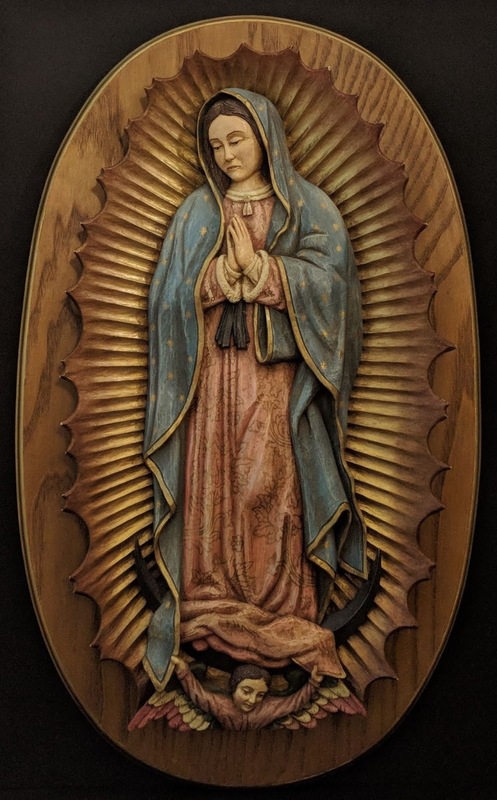 This carving of Our Lady of Guadalupe is carved in relief from basswood, painted, and mounted on a back board with gilt trim. It is approximately 20 inches tall. It is based on the original image from the tilma of Juan Diego that is displayed in the Basilica of Guadalupe in Mexico City. Image from the tilma of Juan Diego.